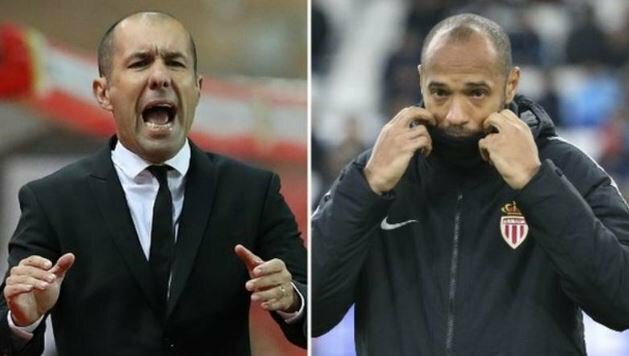 Monaco sacked Thierry Henry in part because they shouldn't have sacked Leonardo Jardim. Do two wrongs make a right? To put it bluntly, Thierry Henry’s time as AS Monaco manager was a disaster. The Arsenal legend picked the wrong team for his first managerial role. Leaving the comfort of being Belgium assistant boss to salvage a side that has put its top-flight survival at enormous risk by making damning transfer decisions was a huge mistake. It's not the job of a rookie manager to undertake. It requires in-depth knowledge of the role and experience to be able to pull off the feat. Sam Allardyce has not earned a huge reputation for nothing. Saving a struggling side from relegation is a special kind of task. It's not all-comers affair, it can only be expertly carried out by a select few. Although as a former Monaco player, it appeared too appealing to turn down an opportunity to manage his former team from an emotional point of view, he was set up to fail from the beginning. With a squad seriously lacking quality and experience, the task of doing well in the top flight had become almost impossible. Usually, a good manager doesn't just become bad overnight. Much as it's very easy to put the blame on the manager when results go south, sometimes the problem goes beyond the gaffer. Leonardo Jardim had done excellently with the side until the carpet was pulled from under his feet. He watched helplessly as players he had groomed and used to achieve unbelievable feats were gradually taken away from him until he was almost stripped bare. Yet, as a good manager that he is, he could not complain. He had to make do with what was available to him. When the club hierarchy found out he was not a miracle worker after all, they let him go. But they have learnt their lessons the hard way. Monaco should have known that when a team that had overachieved for a couple of years gets seriously tampered with, it could lead to a sudden breakdown. When there is an exodus of quality players from a club without adequate replacements there are bound to be problems. Like any good chef will tell you, the right ingredients must be in place to get a good dish. Parading a title-winning squad of top players that were blended to perfection by a manager only to be depleted beyond recognition can only lead to one thing: disaster. And that's what the management of the Principality club has brought upon it. Leonardo Jardim was made the scapegoat as it sometimes happens. But with the sacking of Henry and reappointment of the Portuguese manager, it appears someone has finally realised his mistake. Chief executive Vadim Vasilyev has admitted it was wrong to have sacked Jardim back in October. For the former Arsenal man though, this will come as a huge relief. I mean let's face it, the pressure was beginning to have the better of the 41-year-old. When a man that is renowned for being cool-headed suddenly begins to call players unprintable names as he did to Strasbourg defender Kenny Lala during Monaco's 5-1 defeat at the hands of the club on Saturday, it's clear he is losing it. Sacking the World Cup winner, therefore, became a saving grace for both club and manager. That will serve to prevent a deterioration of the situation for both parties. Apparently, at the rate he was going, it was highly unlikely Henry would have saved the club from relegation at the end of the season. Two wins in twelve games is not the way to save a relegation-bound side. The Arsenal record goalscorer could not translate his excellent playing career into top-class coaching. After three months in charge at the Stade Louis II, the side remained rooted in 19th position on the league table. Not even the addition of experienced players like Cesc Fabregas and Rolando in the January transfer window has made any difference. Therefore, all things considered, Monaco was indeed right to relieve Henry of his duties. Bringing back Jardim is also a good decision. Now he has to be backed to continue his good work at the Principality that saw him win the Ligue 1 title in 2017.